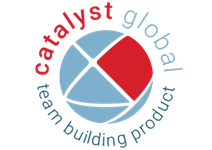 Catalyst Global are the originators of corporate team building, and leading designer of business games with a portfolio of 140 proven programs. Ahakompagniet are with its more than 15 years of market experience, a widely recognized market leader in team building activities. Go Team is an award-winning technology providing real time interactivity in a live outdoor team building environment anywhere in the world. Life Peaks makes gift cards, where you can attach a personal greeting to the recipient, who is going to the escape room. Are you missing the perfect activity for bachelor parties? Polterarbend.dk distributes our bachelor party gift card. Go Dream delivers e-gift cards, which are the perfect solution for a last minute escape game present. Try one of our escape rooms combined with brunch at our neighbors, The Union Kitchen for only 340 DKK per person. Escape Room Player highlights Timequest as an innovative market leader with our escape rooms, mobile & outdoor games. Play Exit Games is one of the world’s largest lists for Live Escape Rooms, highlighting Timequest on their list. Din Storbyferie (NO) ranks Timequest on their Top 10 list over experience you must try in Copenhagen.